New No Need For Tenchi! Ai Tenchi Muyo! Ai Tenchi Muyo! This is the second Tenchi TV series, and is once again set in a new, separate universe. 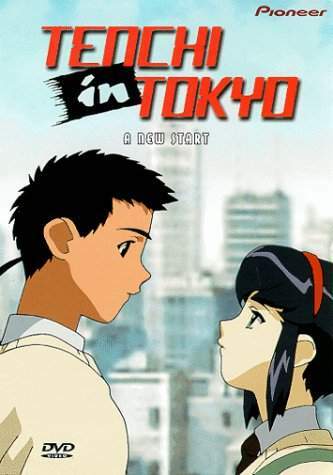 In this TV series, Tenchi leaves Okayama Prefecture to Tokyo for training as a Shinto priest. Naturally, the girls can't stand to be apart from him for any amount of time, so they find ways to be with him, often with hilarious results. Along the way, Tenchi finds a new love, which doesn't bode well with Ryoko and Ayeka. But soon, the clan finds themselves in an adventure in which the whole universe is at stake.